According to Conflict Monitoring Center (CMC), an independent think tank monitoring anti-state violence in Pakistan, there has been almost 25 pc increase in overall incidents of anti-state violence and anti-insurgency operations by the security forces during the month of May as compared to April. Similarly, there has been an almost 36pc increase in the number of casualties in these violent incidents attributed to militant activities as well as security forces operations. 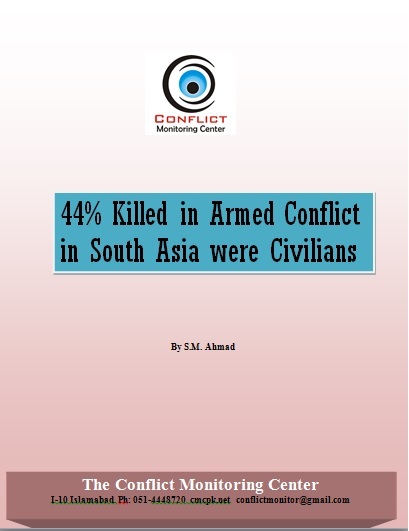 In May, overall 260 incidents have been recorded by the CMC as compared to 209 in April while the numbers of casualties have also gone up from 266 in April to 362 in May. CMC also recorded phenomenal increase in security forces actions in May as 112 such incidents were noticed in May as compared to 72 in April suggesting an increase of almost 56 pc. Similarly, number of casualties in these 112 security forces actions have also increased by almost 119 pc as 175 deaths were recorded by CMC in May as compared to 80 casualties in April. There is an 8 pc increase in militant activities for the month of May while the number of deaths in these violent militant activities are 187 as compared to 137 in April, thus, suggesting an increase of almost 36 pc. According to CMC statistics, use of Improvised Explosive Devices (IEDs) by the militants has also increased. Out of 148 militant activities, IEDs were used in 69 incidents in which 42 people were killed and 122 others injured. 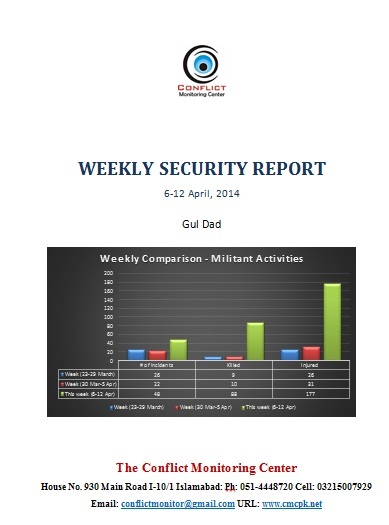 Use of IEDs by the militants have witnessed an increase of almost 33 pc as compared to previous month. If 27 successful diffusion of IEDs by security forces are also put into the equation, the use of IEDs goes much higher. CMC also predicts that strong actions by the security forces in most parts of FATA have put militants on the defensive front, but militants are likely to retaliate in the month of June when they are able to relocate. 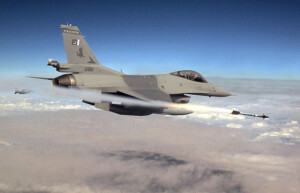 In the days to come, TTP/Al-Qaida related violence in FATA as well as in major cities in mainland Pakistan is expected. Following the previous trend, public places would remain the prime target in the wake of increased security measures and vigilance on the part of security forces. Parting ways by Khalid Mehsud alias Khan Said Sajna in Waziristan was a major below to TTP after continued infighting between the two groups of TTP, and revoking of peace agreement by Hafiz Gul Bahadar group in North Waziristan is a major blow to the government. At the moment, TTP is trying to make alliances with other militant groups as witnessed in the negotiations between TTP and Khyber Agency based Lashker-e-Islam led by Mangel Bagh. On one hand, strong actions by the security forces inflict material and human losses to the militants while on the other hand, these also provide various militants group to unite against security forces as it provide convergence of their interests. With the view to hide their patronage of Pakistan-based militants and to allow them to cross over to Afghan side of the border due to actions by the security forces here in Pakistan, Afghan officials have started blaming Pakistan for attacks on Pakistan-Afghanistan border. In the hindsight, Afghan security forces would continue to allow militants to flee into Afghan area to re-group and target Pakistani security forces. While TTP chief Maulana Fazllullah has been making efforts to revive militancy in his home-town i.e. Malakand Division, easy movement across Pakistan-Afghanistan border provide its militants to hide in adjoining Kunar province and further expand to North of KP.